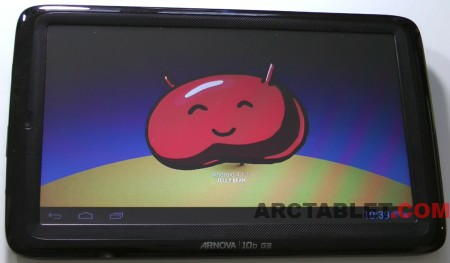 We recently announced a series of custom Android 4.1 Jelly Bean firmwares for Arnova G3 devices. 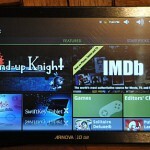 The Arnova 10b G3 tablet is the first tablet to receive a custom Android 4.1 JB firmware with root and few extra features. 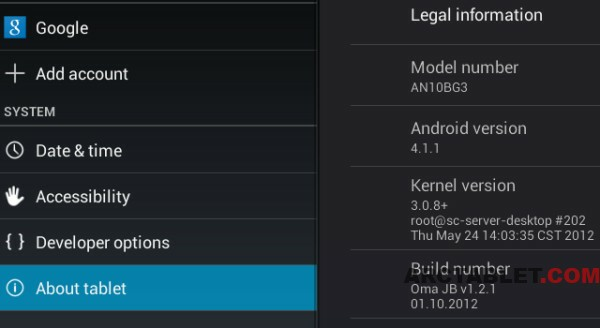 This firmware is based on the Oma JB, the work of OMA, a respected xda-developers.com who has produced many great firmwares so far for Rockchip tablets, thanks a lot to him for that. We have modified this firmware to make the flash process easier on the Arnova 10b G3. While this firmware is already very stable and brings some great additions to the original 10b G3 firmware, it suffers a few limitations: the battery indicator isn’t working properly and the video camera picture is mirrored horizontally. Update 2012/11/20: The battery level issue is fixed, thanks to Morka, Oma & Exelletor. 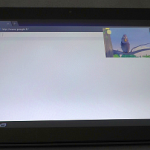 The Picture in Picture (PIP) function is a great new feature of the Video Player that let you put the playing video in a resizable and movable window, so you can watch a movie while you continue to use the Android tablet for other things. 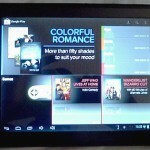 This feature is similar to what Samsung offers on their latest Galaxy SIII and Note II with the “Pop Up Play” feature. This firmware is specific to the Arnova 10b G3 capacitive model and should not be installed on other devices.It will not work on the Dual Touch (DT) resistive model. After Rockchip flasher has transferred the custom firmware to the tablet, the device will restart and install the firmware. Finally you will be back to Arnova homescreen, there is no setup wizard with this firmware. 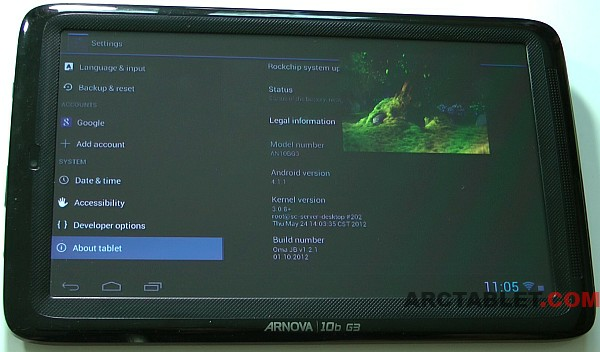 You will find the 3 easy steps of the installation procedure in the following video, see how to get Google Play and root to the Arnova 9 G3 in less than 10 minutes, it works on a similar way with the Arnova 10b G3. we have observed that the touchscreen is sometimes not working just after flashing this firmware on the Arnova 10b G3, the source of the problem isn’t clear but it may be related to an issue with the touchscreen calibration routine that isn’t present in this firmware. Luckily, the fix is quite simple, just flash the stock firmware or one of our custom firmware based on it that contains the calibration. Let us know how it works for you in our Arnova 10b G3 forum. Great thanks to OMA for his work on this Jelly Bean firmware. Anybody who can tell me how to download this file “kasty_oma-arn10bg3-41-046-2G.zip” I was try many time since last month. please help because my Arnova can not move app to SD card !!!! Download any file manager W root access, select either copy or move over the service.jar file from the zip, then go to the other file at system/framework/service.jar and select to copy or move it. The app will notify that a file with that name already exist. Now here is your decision, either overwrite it or wathever u decide. But let me tell you in my particular case it didn’t go well, so I had to rescue it by selecting the nown “recovery boot”. All I can say is good luck! have the 10b g3 and i tried every reset trick described, but it stays on the “Arnova” screen -power cable in/out, usb in/out…. the rockchip doesn’t find the MTP device in Xp so i am at wits end….any hints to flash it somehow? Thanks ! So I tried to put the update.img file from kasty_oma-arn10bg3-41-046-2G.zip directly on my SD card and, when I plugged the SD card on the tablet, I get the surprising message “We detected a new update on SD card, do you want to apply the update from /mnt/sd_external/update.img” ! 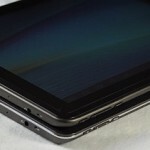 Otherwise the tablet won’t restart when you hit the power-on button (it will stick on the “ARNOVA” screen). Powerindicator& other content of the firmware seems to be flawless and is working now! Good work! The same problem over here. My arnova stays on the “ARNOVA”screen and won’t start. My device is useless now ! I used the”restore”option and flashed again. No problems were detected but t simply won’t start. Please help. You can test with the game “Contact Killer 2” available on GooglePlay.